Even though we are aware that there are many intergenerational issues in the UK today, loneliness isn’t often thought of as being one of them. Indeed, the reverse is often true; loneliness is frequently characterised as a problem which disproportionately affects isolated older people rather than the young. However, there is mounting evidence which suggests that, although loneliness does affect all generations to some extent, there may be a particularly big problem with loneliness among today’s young people. This article will look at the best available evidence which we have to see whether loneliness is becoming an issue of intergenerational fairness. It’s fair to say that the subject of loneliness has rocketed up the political agenda in recent years, which has led to much more sophisticated and comprehensive attempts to measure how many people feel lonely and the ways in which loneliness manifests itself within their lives. One of the main drivers of this was the Jo Cox Commission on Loneliness, a cross-party initiative to tackle loneliness which was instigated by the late Jo Cox, the Labour MP for Batley and Spen who, tragically, was murdered in 2016. The Commission released a major report in 2017 which called for the government to implement a national strategy to combat loneliness, arguing that it affects 9 million people in the UK and is as harmful to health as smoking 15 cigarettes per day. This led to the government instigating its first loneliness strategy in late 2018, with Tracey Crouch MP being appointed as the first Minister for Loneliness. One of the goals of the loneliness strategy was to improve the government’s evidence base regarding how many people are lonely and what impacts loneliness has on their lives, which led to the ONS research that was released last week looking at loneliness among teenagers. As was mentioned near the beginning of this article, there is now a certain amount of evidence which suggests that loneliness may disproportionately affect young adults. Possibly the largest survey in the world which asked people about their experience of loneliness was undertaken by the BBC last year in collaboration with the Wellcome Collection; called the “The Loneliness Experiment”, it involved an online survey which managed to gain over 55,000 responses. One of the headline findings from this survey was that respondents aged 16 to 24 were the age group who were most likely to say they felt lonely “often” or “very often”, which was a higher rate than among any other age group (the smallest proportion was amongst the over-75s, among whom only 27% fell into this category). Overall, 33% of respondents said they experienced loneliness often or very often, in comparison to 42% who said they experienced it rarely or never. However, there were two obvious flaws with this survey which may compromise the reliability of its findings: firstly, it had a self-selecting sample, which means that there’s no way of knowing whether the people who replied to it were genuinely representative of the broader population (it could have suffered from selection bias if lonely people were more likely to respond to it than people who don’t feel lonely); and secondly, it was carried out online, which may mean that older people and people who are less au fait with the internet were less likely to complete it. 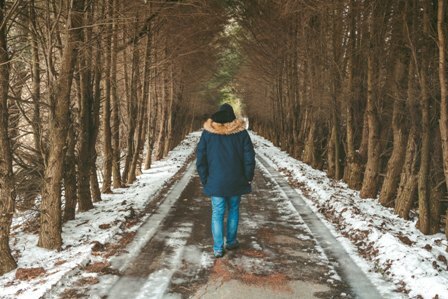 Loneliness has also been looked at in one of England’s major household surveys, the 2016–17 Community Life Survey, which used a sample of English households identified using random probability sampling to achieve as close as we can get to a genuinely representative survey of the English population. According to the ONS, this data source also supports the conclusion that young adults are more likely to feel lonely than any other group within the population. In this survey, only 5% of the adults surveyed reported that they felt lonely “always” or “often”, but this rose to 10% among respondents who were aged 16 to 24, which was a significantly higher proportion than in any other age group. What was also interesting about this data source was that it suggested that there is a strong connection between both being a renter and someone not feeling a strong sense of connection to their local area and loneliness, which could imply that the peripatetic nature of modern life for many people in this age group (especially if they are private renters who move house relatively frequently) could be contributing towards their sense of loneliness. What the ONS’s latest piece of research into loneliness attempted to do was look at the extent to which children (defined as those aged 10 to 15) are affected by loneliness and to try to discover which demographic and socio-economic characteristics are associated with a greater predisposition towards feeling lonely. Addressing loneliness among children is considered to be especially important by some experts in this field because there is strong evidence that serious loneliness has a detrimental effect upon someone’s health at all ages, so early intervention could be especially useful to prevent the psychological harm caused by loneliness from negatively impacting a child’s development or their future health. Previous ONS research has shown that just over 11% of children within this age group say they feel lonely on a regular basis. Several variables turned out to have an especially significant impact on the likelihood of a child experiencing loneliness when regression analysis was used to assess the causal influence of various factors. Firstly, several personal factors were significant, including how happy they were about their relationships with their friends and how happy they are with their amount of choice in life. Secondly, parental influences were also strong; children whose parents don’t have high life satisfaction, or whose households were living in relative poverty, were also more likely to experience loneliness than ones who weren’t. This could suggest that there is a social gradient to loneliness, with better-off children having some kind of psychological protection against it which is a product of their surroundings they were born into. Thirdly, children who live in cities were significantly more likely to say they were lonely than ones who lived in more rural areas. This could be seen as quite a surprising factor, given that you are likely to be closer to a larger number of other children if you live in a city than you are if you live in a more rural location, but perhaps it signals that urban life is actually more isolating because city-dwellers are also surrounded by strangers most of the time. Overall, it should be seen as a positive that government is starting to take loneliness more seriously, especially since it does appear to be an intergenerational issue, at least to some extent. Hopefully it will lead to more high-quality research looking at the impacts of loneliness, particularly on young people, as it is clearly having a detrimental impact upon too many people’s quality of life.